Hello, I’m LiangLiang. I started my first investment in gold when I was in the first year working. Previously, I always use www.goldprice.org to check and view the gold rate, this web site provide a clearly chart so that we can see the gold price trend easily. After a period of time, I found that CIMB Clicks also provide this similar chart. 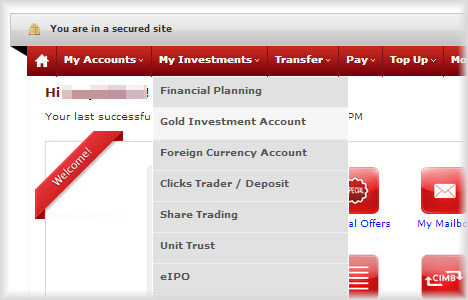 In fact, the CIMB Clicks gold chart is suitable for Malaysia gold investor because it’s an official Malaysia’s bank web site. 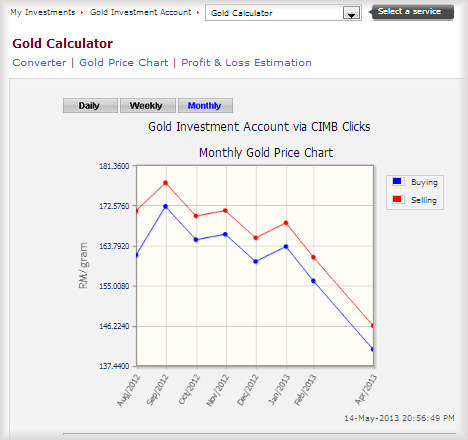 Here, I’m going to share about how to view CIMB gold price chart. 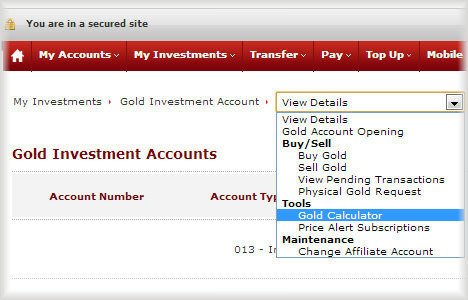 Then, click on My Investments > Gold Investment Account> Gold Calculator. After that, you can find “Gold Price Chart”, just click on it. Finally, a gold price chart is shown. We can view the gold price daily, weekly and monthly. 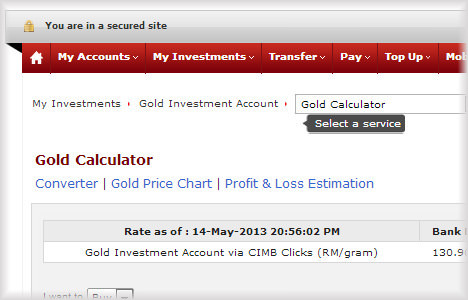 Hi Liang Liang , may i know do you have experience buying gold with cimb clicks ?how does its work?